Some people responded, "Learn to Spell!". But the joke was on you smart guy. 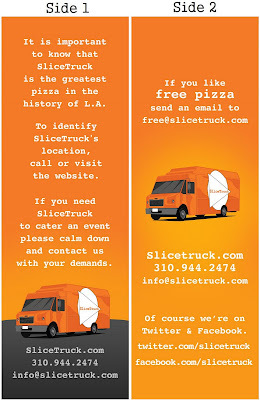 We'll then send a bookmark back to you in that self addressed stamped envelope you just sent to us. Its about 5 inches long so send a 5 inch envelope at least. 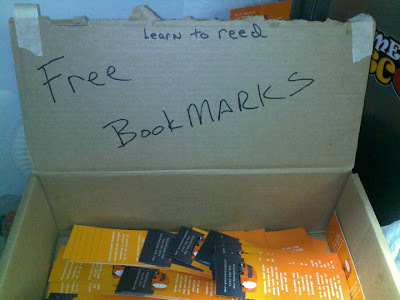 This is a serious offer. What about this? Send us 50 (100 whatever, the exact number is not important here) self addressed stamped envelopes with all of your friends addresses on them, put the return address on all the self addressed stamped envelopes as your own and when they get the free bookmark in the mail they will know you sent it to them. Little gifts to remind them you used to hang out more often than now and its not because their wife doesn't like you but because they're a lazy pile. 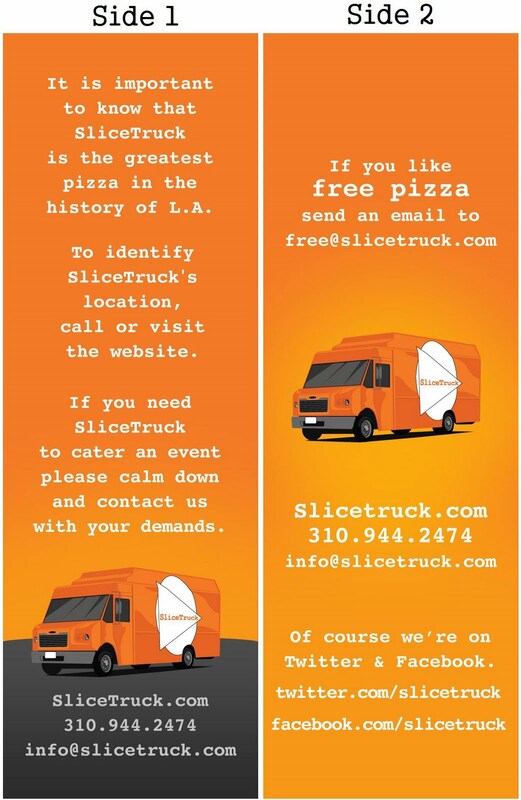 To put it simply, whatever the reason, when you send someone a SliceTruck bookmark you're saying, "I'm not mad with you, it is what it is, no worries and hang loose dude right on."